The abduction. York 19th of March 2009. The basic facts. Failure to establish basic facts of distance and time. The possibility that the murderer was a stranger seems to have been ignored. Premature focus on the theory that the murderer was connected to Claudia Lawrence’s love life. Failure to obtain any empathy with the Lawrence Family. Failure to preserve evidence for any future investigation. If you have just started reading the NYE and have not read Part 1, you should do so before going any further. It can be accessed here. Detective Sergeant A (DS A) has never been named, but he was a member of the police team that investigated Peter Jaconelli and Jimmy Savile in Scarborough. DS A was an experienced officer who had served in NYP throughout his career. He had a misconduct finding upheld against him in 2015 over his failure to record intelligence during an investigation into Peter Jaconelli and Jimmy Savile. NYE article here. 120. He (DS A) stated that …he was attached to Operation (Redacted) (from March 2009 onwards). This may be a reference to Operation Cabin. Certainly there cannot be many operations that were so large they required the drafting of a Detective Sergeant from normal duties in Filey to another police station that were on-going in March 2009, the month that Claudia Lawrence disappeared. 121. DS A returned to Filey Police Station in August 2010. 125. DS A said that he had returned to Scarborough CID demotivated due to problems that he had with a previous supervisor. He said, ‘One of the things with it from, I’m not going to into my personal circumstances, but at the end of the day I lost a lot of motivation. 83. On 21 March 2009, D/Supt N became the SIO for a major investigation into a person who had gone missing three days earlier. On the same day, DCA was removed from his normal duties and placed on a murder enquiry (Operation (Name redacted)) which was being run from York Police Station. 98. In the subsequent statement that D/Supt N provided to the IPCC on 25 November 2014, he stated that he had assumed investigative responsibility for a major investigation on 21 March 2009 which he said, ‘consumed virtually every moment of my duty time.’ This was an enquiry which he spent in excess of the next two years working on. “D/Supt N” is Detective Superintendent Ray Galloway. DCA was transferred to York Police Station to work on the Claudia Lawrence murder investigation, being run out of Fulford Road Police Station. The IPCC report is highly critical of DC A and DS A for not recording information properly. DS A subsequently had a misconduct finding upheld against him. It appears from what can be pieced together from the heavily redacted and censored IPCC report above that at least one member of the CID Team (DC A) that investigated Claudia Lawrence was de-motivated and unreliable. Another (DS A) may not have been recording intelligence gained during the investigation properly. They had a negative impact on the Peter Jaconelli investigation and the concern must be that they had a similar negative impact on the Claudia Lawrence investigation. A Detective Sergeant is a key and senior figure in a team of fifty detectives on a serious crime investigation. The impact of having two members of the investigative team that were potentially dysfunctional cannot be assessed, nor are the authors able to determine how many other members of the Operation Cabin investigation may have been operating in a similarly dysfunctional state unnoticed by the CID management. But it is clear that although DCI O was able to detect the decline in efficiency, the leadership of Operation Cabin did not. Instead of being returned to Uniform Branch, they were simply returned to normal CID duties. Even though both officers have admitted they were de-motivated and it is clear they were obviously not suitable for employment on an investigation of this importance. The Senior Investigating Officer for Operation Cabin was Detective Superintendent Ray Galloway. 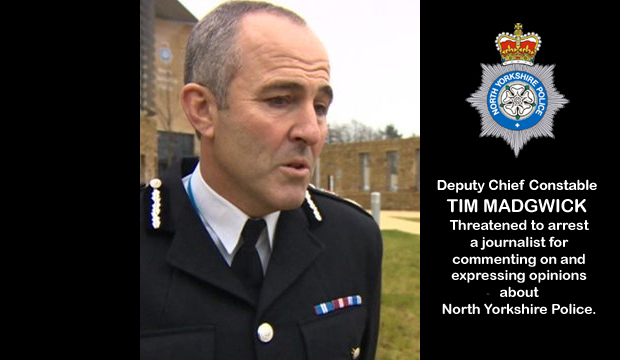 A career detective who came to North Yorkshire Police (NYP) from Merseyside Police, following his successful investigation of the murder of Chantel Taylor by Stephen Wynne. A classic case of excellent detective work. The SIO is responsible for the day-to-day running of the operation. 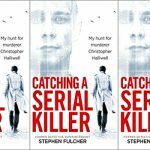 In his book “Catching a Serial Killer”, Detective Superintendent Stephen Fulcher is scathing about forces that regularly change the SIO at short notice and for short periods of time. However, this aspect of both Claudia Lawrence investigations worked very well. NYP maintained the same SIO throughout the course of Operation Cabin and then a different SIO throughout Operation Essence – thereby avoiding disruption to through lack of continuity of key members and loss of experience. Above the SIO is a Gold Group, which is established immediately a major investigation is declared. This is a team of senior officers who are responsible for the governance of the operation and supporting the SIO, intervening if anything has been missed, if the investigation has lost direction, is mistakenly allocating low priorities to lines of enquiry, or following lines of enquiry that are not promising. As an example, in his book “Catching a Serial Killer”, Detective Superintendent Stephen Fulcher emphasises the key role the Gold Group plays in a major investigation. During his successful investigation into the murder of Sian O’Callaghan by local cab driver Christopher Halliwell, the first suggestion that the murderer may be a taxi driver came from the Chief Constable of Wiltshire Police Brian Moore, who had been a highly-experienced detective before being promoted to Chief Police Officer rank. In the O’Callaghan investigation, the Gold Group handled media contact, thereby relieving the SIO of that burden and allowing him to focus on the investigation. This best practice from the College of Policing seems to have been ignored for Operation Cabin. The Gold Commander for Operation Cabin was the then Deputy Chief Constable Tim Madgwick QPM. Deputy Chief Constable Madgwick (retired), made his way up the ranks mainly in Uniform Branch and as a Traffic Policeman. He was not a career detective and was the ACPO Lead for motorcycling. He led the highly successful NYP operation to arrest Mark Hobson, for which he was commended. However, that was a very different type of enquiry to a no body murder. He appears to have been appointed on the basis of his rank, not experience in large complex murder investigations. Based on my experience of him, I believe he does not have the right approach to media relations for an investigation requiring close media co-operation. In real terms, his subordinate Detective Superintendent Galloway probably had more experience in murder and serious crime investigations. This will to some degree have rendered the Gold Group somewhat superfluous, being unable to contribute more experienced expertise, because it had less investigative experience than the SIO. The Gold Group was responsible for exercising overall supervision of the investigation and to intervene if anything was going wrong. It must, therefore, also share responsibility for any failings in the investigation. It should be said that without access to the Operation Cabin Policy Book, it cannot be determined what constructive role the Gold Group played in the investigation. I can find no evidence of it intervening to address any failings in the investigation e.g. the breakdown of communications between Detective Superintendent Galloway and the Lawrence family. 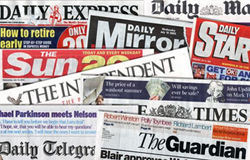 Detective Superintendent Galloway has been criticised in the press over the conduct of Operation Cabin. However, it may be that he was not as well supported by a Gold Group of officers experienced in this type of investigation. 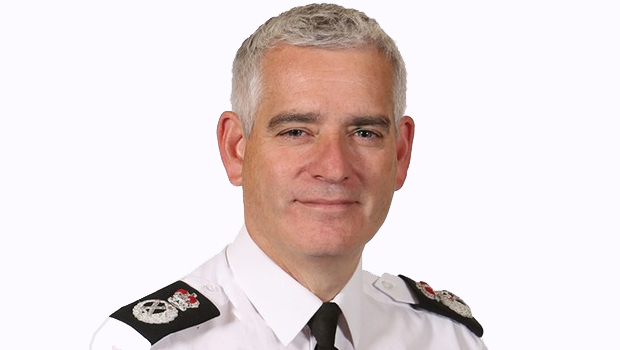 Chief Constable Dave Jones succeeded Temporary Chief Constable Madgwick as Chief Constable of NYP and ordered a review of the Operation Cabin investigation. It should be emphasised that this was not a routine cold case review. The review determined that there were still lines of enquiry that could be pursued and the investigation was re-opened. The implication being that Operation Cabin was closed prematurely. If this is so, then it represents a catastrophic failure by the Operation Cabin Gold Group, possibly due to lack of experience. This will be covered in greater depth in the article in the series on Operation Essence. The comment below that Chief Constable Jones’s ordered the review “to re-invigorate interest in the case to generate new leads”. Indicates a failure in the investigation’s media strategy that did not generate as much media interest and information as it could have done. 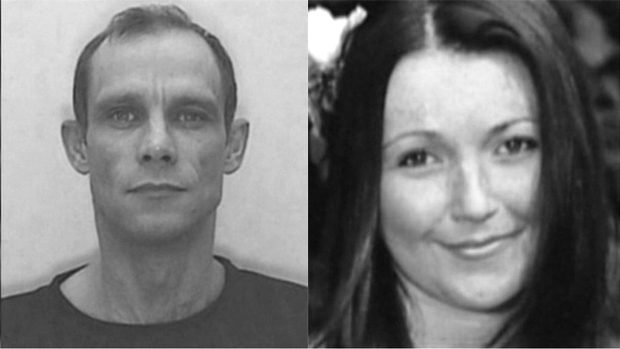 Shortly after her disappearance, Crimestoppers offered a reward of £10,000 to anyone providing information leading to the arrest and conviction of any person linked to Claudia’s disappearance. However, this was withdrawn in September 2010. This also resulted in all of the posters asking for information on Claudia’s disappearance being taken off NYP police cars, because they mentioned the reward. This was a serious blow to the investigation at a time when it was still running. It appears that the funding had been allocated to other investigations that were perceived to have a better chance of success. “The pressure of daily media attention”. (See below). NYP appears to be trying to exonerate itself from any responsibility for the failure of the investigation by blaming the media and unknown witnesses that had not come forward. 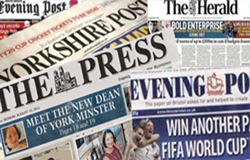 Regular NYE readers will know that I have been highly critical of the attitude of North Yorkshire Police to the media. 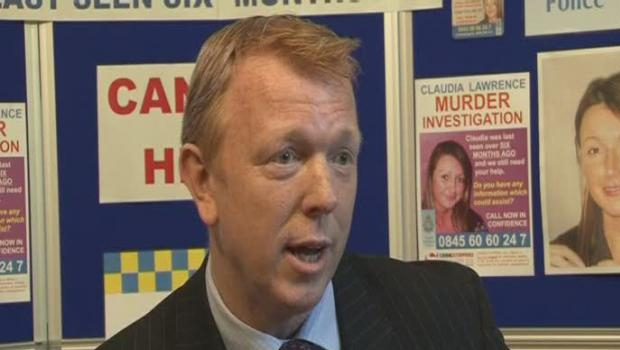 In his book on the successful investigation by Wiltshire Police into what was initially a “no body” murder, former Detective Superintendent Stephen Fulcher emphasised the importance of the media to the investigation, going so far as to state that the case would not have been solved without the assistance of the media. Nothing sums up the inability of this force to manage media comment better than Detective Superintendent Malyn’s remarks implying that – having appealed for assistance from the media and having got it – the daily media contact was a distraction and a contributory factor to the failure of the Operation Cabin investigation. This may be indicative of a failure of the investigation to manage the media interest in the case. Certainly, if the Gold Group had been covering media operations, then in fact the SIO and his team would not have been distracted by this aspect of the operation. Operation Cabin: Was it affected by NYP politics? Deputy Chief Constable Tim Madgwick became Temporary Chief Constable in February 2012 following the disgrace and removal of his predecessor Chief Constable Graeme Maxwell. He was rejected for appointment to the role of Chief Constable and replaced by Chief Constable Dave Jones on the 3rd of June 2013. Deputy Chief Constable Madgwick retired in February 2017 after a distinguished career, all of it in NYP, having served twice as Temporary Chief Constable. He stated at that time how saddened he was that Claudia Lawrence’s murder remained unsolved. BBC report here. In any operation that you are closely involved in on a day-to-day basis, it is very difficult for any human to take a step back and make an impartial, detached assessment of it. Any criticism of the conduct of Operation Cabin would reflect discredit on Chief Constable Madgwick personally, because he had been the Gold Commander. In short, he had a conflict of interest in considering the possibility of any failings in the operation, because he commanded it. This may be why an impartial and objective assessment of Operation Cabin would only be undertaken after the appointment of Chief Constable Jones as Chief Constable of NYP. In the autumn of 2013 Chief Constable Jones ordered an impartial review of Operation Cabin be undertaken internally. Chief Constable Jones was an experienced detective in his own right and a former Head of Greater Manchester Police CID. He would not have ordered police resources to applied to the case if he thought the original investigation had satisfactorily exploited all the information and intelligence it had received. 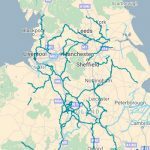 In the autumn of 2013, North Yorkshire’s Chief Constable Dave Jones decided that the four-year-old enquiry should be thoroughly reviewed by the then newly-formed Major Crime Unit to see what opportunities existed with information given at the time and to re-invigorate interest in the case to generate new leads. Without any prior involvement in the case, my team and I have been able to look back at the events of March 2009 and the enquiries that followed it, at a different pace and with a fresh perspective. Without the pressure of daily media attention, we have spotted things that may not have seemed significant or hugely relevant at the time, and to prioritise and put greater emphasis on certain aspects of the enquiry that this new team felt were necessary and warranted. By scrutinising in meticulous detail what people told the original enquiry, and then comparing that with other information that was either available at the time or which has only recently come to light, two things have become evident: first, that there are people locally who knew Claudia and who have actively sought to keep that a secret – and we know who some of those people are; secondly, we know that some people have deliberately lied about a number of issues concerning their association with Claudia. 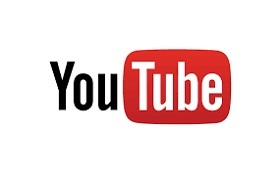 In the months since we started our review, we have made very significant progress. In the light of information that has only recently come to the fore, we are actively pursuing what are rightly described as new leads. Last month, we focused our attention on the alleyway that leads to the back of Claudia’s house. This was based on specific information that this review discovered causing me and the team to believe that the alleyway had potential significance in explaining what happened to her. This is still being very actively progressed. 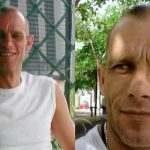 Detective Superintendent Malyn made a separate point in the statement that science has moved forward in the six years since Claudia’s disappearance and that he has exploited these developments. So the statements above relate to evidence and lines of enquiry that have arisen as a result of detective work, rather than improvements in forensic science. Police officers normally close ranks and do not criticise each other publicly. The statement has obviously been worded to avoid criticism of the Operation Cabin investigation. However, it is clear from Detective Superintendent Dai Malyn’s comments above, that the new team were able to generate new information and also exploit existing information that had been available to the Operation Cabin team at the time, but which was not exploited properly. Whilst the above is not exhaustive, or a blow by blow account of the investigation. In summary, it appears that Joan Lawrence may have been right that the initial investigation was not well handled. The authors believe this was clear to an experienced detective like Chief Constable Jones and that is why he ordered the review, resulting in a new approach from a new team. 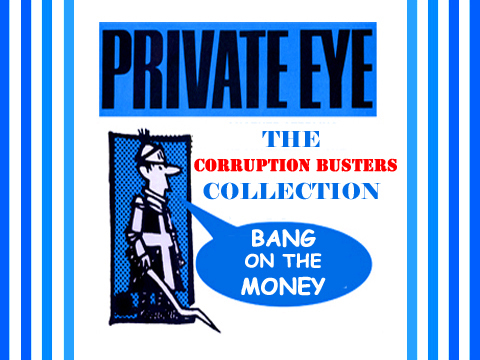 Operation Cabin has never been subjected to the same impartial searching review that the Yorkshire Ripper enquiry was subjected to by Chief Constable Sir Lawrence Byford of HM Inspectorate of Constabulary (HMIC). Nevertheless, sufficient information has emerged to cast serious doubt on the quality of the investigation. By analysing some aspects of the investigation and some members of the investigation team, using material that is in the public domain, we have revealed that aspects of the initial investigation into Claudia Lawrence’s disappearance was mismanaged. In my opinion, bungled would be too strong a word. But it is clear that opportunities were missed. No doubt other mistakes were made which have not emerged, because journalists do not have access to the Operation Cabin policy book or the detailed records of the investigation, and because Operation Cabin has not been subjected to a review by HMIC. By applying the sort of searching in depth analysis that NYE readers have come to expect to the actions of Chief Constable Jones and the public statements of Detective Superintendent Malyn, the NYE has identified that the confidential internal assessment of Operation Cabin by North Yorkshire Police was essentially the same as Mrs Lawrence’s. NYP is particularly jealous of its reputation and does not accept external criticism. Hence, there had been no official comment on the reasons for the failure of Operation Cabin, other than those by Detective Superintendent Malyn above, which exonerated North Yorkshire Police and blamed the media. This shows the importance of having police operations subjected to external and impartial comment by journalists. 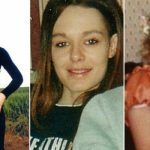 The question has to be asked, why is it that Wiltshire Police were able to arrest Christopher Halliwell for the similar abduction of Sian O’Callaghan, while North Yorkshire Police were not able to solve the murder of Claudia Lawrence? There could be many reasons for this. However, I cannot help but suspect that if the investigation had been run by a top-rate detective of the same calibre as former Detective Superintendent Stephen Fulcher, it is possible that Claudia’s murderer would have been apprehended. North Yorkshire Police were provided with a copy of the article but chose not to comment. NYE appeal for information. 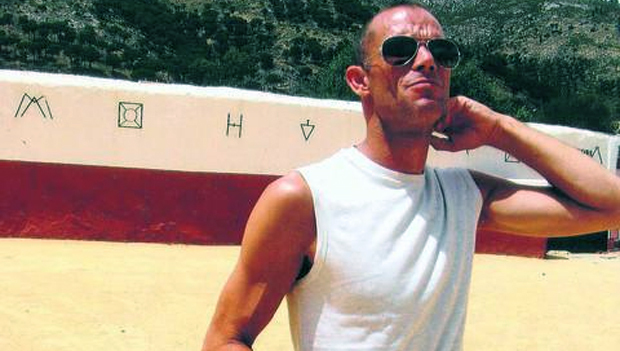 Have you seen Christopher Halliwell at any time in the period 1987 – 2011? Christopher Halliwell had a slim athletic build and spoke with a slight Swindon accent. You can see and hear him in the video here taken while he was in custody. He is pictured in the lead illustration. The NYE has reason to believe he operated in North Yorkshire. Any information would considerably assist our knowledge of Halliwell’s movements. So please contact the NYE using our e mail address: news@nyenquirer.uk if you think you can help. 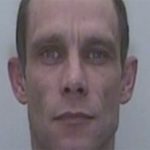 The NYE has recently run a series of articles on the crimes which may have been committed by serial killer Christopher Halliwell, who is currently serving a full life term for two murders committed in Swindon in 2003 and 2011. These articles are now arguably the best source of information on the full range of crimes potentially committed by Halliwell openly available. 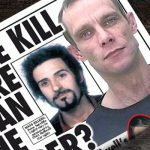 Christopher Halliwell: The Secret Murders. By Chris Clark & Tim Hicks. Parts 1 – 14. 4. 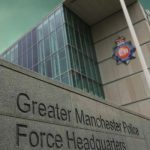 Greater Manchester Police. 5. Greater Manchester Police & Crime Commissioner). York: Did Halliwell murder Claudia Lawrence? 3: Operation Essence. York: Did Halliwell murder Claudia Lawrence? 4: Why the authors believe Halliwell should be considered as a suspect.